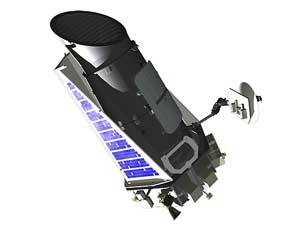 Artist's concept of the Kepler Space Telescope. The Kepler Mission is specifically designed to survey our area of the Milky Way Galaxy to detect and characterize hundreds of Earth-size and larger planets in or near the habitable zone. 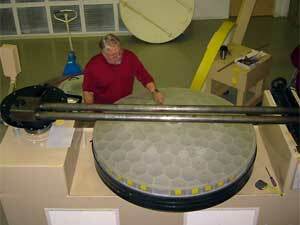 Image of the Kepler primary mirror processing. The proposed launch date is June 2008.